How Can I Save My House in Bankruptcy? Losing your home because you cannot afford to pay your mortgage payments is frightening. You have tried everything you can think of to catch up the past due mortgage payments, but the lender is ready to file a foreclosure action. 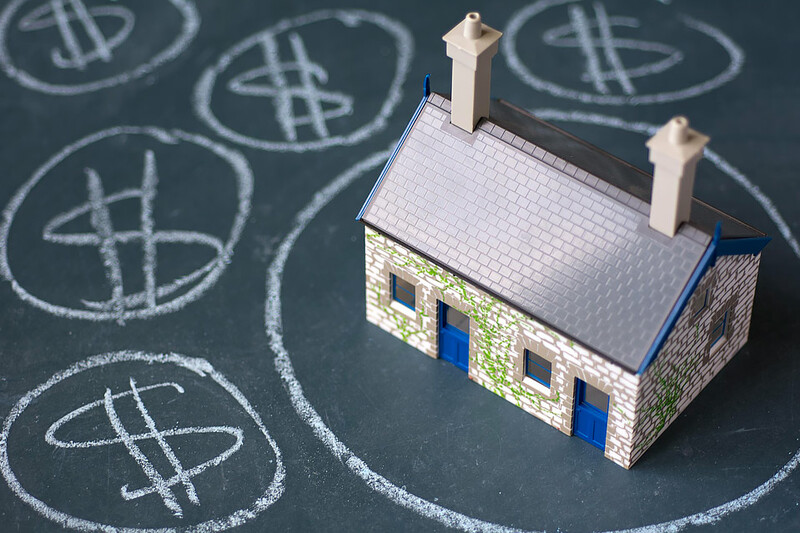 Loan modification, refinance, and other efforts to save your home have failed. Is there anything else you can do to save your home from foreclosure? When you file a bankruptcy action, the automatic stay provisions of the United States Bankruptcy Code prohibit creditors from taking further action to collect a debt, including a foreclosure action. If the lender has not filed a foreclosure action, the automatic stay prevents the lender from filing the lawsuit. If the lender has already filed a foreclosure action, the automatic stay stops the foreclosure from going forward. As long as you are in bankruptcy, the lender must obtain bankruptcy court approval before it can continue with the foreclosure. However, the bankruptcy will not stop the foreclosure indefinitely. If you file under Chapter 7, the automatic stay stops any foreclosure action. However, the foreclosure is only stalled temporarily. You must catch the past due mortgage payments before your Chapter 7 case is complete (within four to six months usually) or before the mortgage company receives permission to continue the foreclosure. In either case, the foreclosure will proceed at some point unless you catch up the past due mortgage payments. However, a Chapter 13 bankruptcy case can save your home from foreclosure by giving you time to catch up mortgage payments through a repayment plan. A Chapter 13 bankruptcy case is a repayment plan. You propose a bankruptcy plan that reorganizes your debts into a manageable monthly payment. Therefore, you can take up to 60 months to repay the past due mortgage payments to your lender through the plan. As long as you resume regular mortgage payments to the lender and remain current, the foreclosure action will not resume. Therefore, you can save your home by filing Chapter 13. Even though you can file Chapter 13 to stop foreclosure at any time before the home is sold a foreclosure sale, it is often better to begin the bankruptcy process as soon as possible. If you are struggling to pay debts, we encourage you to contact our Parkville bankruptcy attorneys to discuss filing for bankruptcy relief. If you file your Chapter 13 bankruptcy case before a foreclosure attorney is hired, the amount you owe to the mortgage company is less. Once a foreclosure attorney is involved, you owe the past due mortgage payments plus attorney fees and costs. In addition to saving your home, there are several advantages of filing for bankruptcy relief under Chapter 13. For instance, if you have a second mortgage secured by your home, you may be able to get rid of that mortgage for pennies on the dollar by valuing the mortgage at “zero.” To value a second mortgage, you must owe more on the first mortgage than the home is worth. If your home is worth even one dollar more than you owe on the first mortgage, you cannot value the home at zero. In many cases, you may be required to pay for a formal, written appraisal of your home to determine the home’s current market value. However, if you are sure your home is worth less than you owe to the first mortgage company, the cost of an appraisal is small compared to getting rid of the second mortgage. The second mortgage company may object to your motion and request a hearing if the value of the home is close to the payoff on the first mortgage. At the hearing, your attorney and the attorney for the mortgage company presents evidence to establish the value of the home. In many cases, the matter comes down to competing appraisals. If you are successful, the mortgage lien is valued at zero, making the entire balance of the second mortgage an unsecured debt. Instead of paying the second mortgage balance in full, you only pay a small percentage of the debt. When your Chapter 13 case is complete, the remaining balance owed to the second mortgage company is discharged, and the lien on your home is released. If you are facing a foreclosure or you are struggling to pay your mortgage payments, a Chapter 13 case may be the answer to your financial problems. Contact Pinder Plotkin LLC by calling 410-661-9440 to schedule your free consultation with a Parkville bankruptcy lawyer.